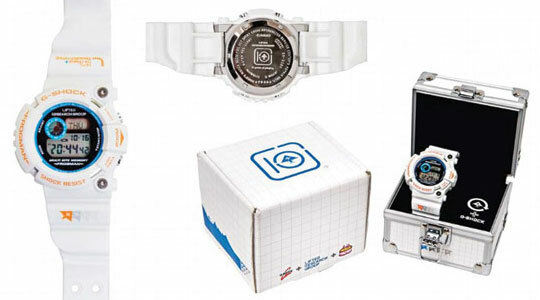 Once again LRG Frogman and G-Shock team upÂ for their 10th Anniversary watch. Coming out in all white, this watch includes some cool features that you might not find on many watches like 200M water resistance and it’s solar powered.Â This item is definitely one of those items you buy in two, you rock one and save the other for show and tell. There is still no date on when the watch will be available to the public but I will sure have my eyes locked on this beauty.